Mid 1600s: Wampum, or strings and belts made from shell beads, becomes legal tender in colonial New England. Eight white beads or four purple beads buy one penny. 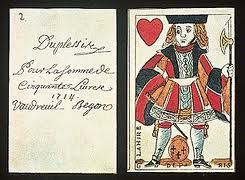 June 8, 1685: The first issue of card money occurs, which is printed on playing cards. The practice is criticized because it’s easy to counterfeit. 1722: Copper coins are introduced, though merchants didn’t like them; they continued to let people buy goods based on their own credit standing. 1817: The Montreal Bank (subsequently the Bank of Montreal) issued the first bank notes in Canada after its establishment in 1817. Other banks soon followed suit. 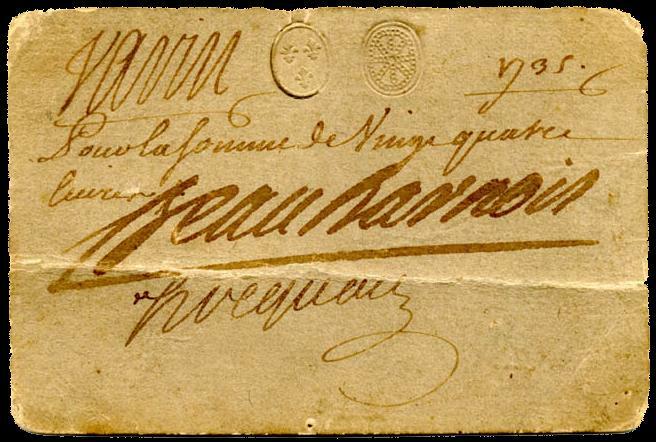 The notes were well received and became the main means of payment in British North America. 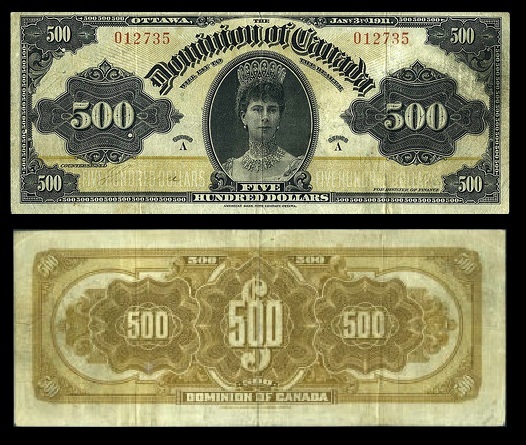 1854 – 1914: The Dominion of Canada is under the gold standard. The value of the Canadian dollar was fixed in terms of gold and valued at par with the U.S. currency. Both U.S. and British gold coins are legal tender in Canada. July 11, 1864: The greenback sinks to less than 36 cents (Canadian), an all-time peak for the Canadian dollar, from close to parity in early 1862. It subsequently recovers through the decade and the currencies trade around par until the outbreak of the First World War. Mid-1950: Canadian dollar depreciates. The federal government cancels fixed parity, putting it at odds with the International Monetary Fund, and the Canadian currency appreciates. 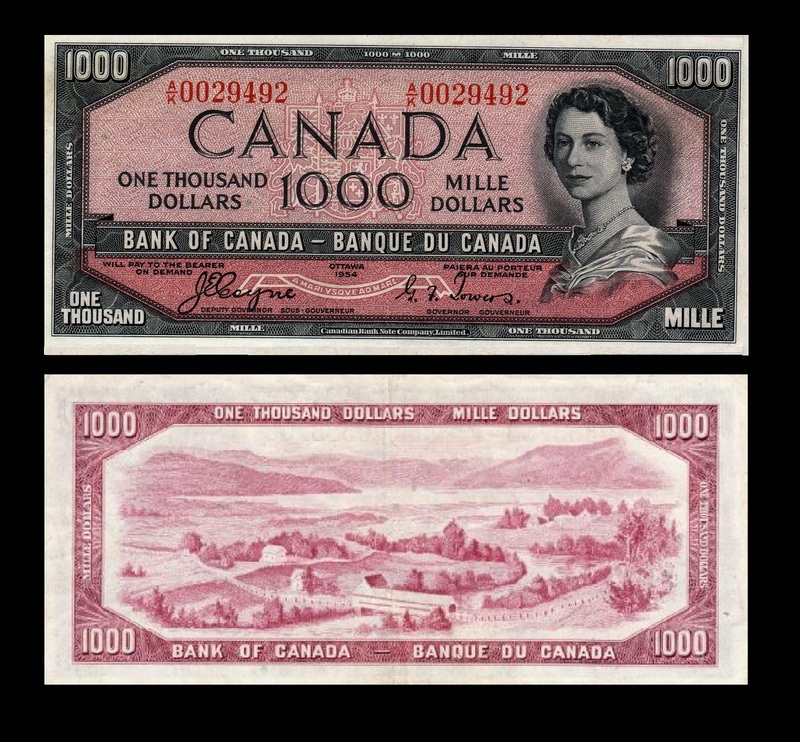 Aug. 20, 1957: The Canadian dollar hits a peak of $1.06 (U.S.). May 2, 1962: The government establishes a new par for the Canadian dollar, fixing it at 92.50 cents (U.S.) with a fluctuation band of 1 per cent. May 31, 1970: The government floats the Canadian dollar amid a growing budget surplus and rising inflation. April 25, 1974: The dollar hits a high of $1.04 (U.S.) against the greenback as global demand boosts the price of raw materials. The strength sparked fear about Canada’s export industries at a time when the unemployment rate was already high. Nov. 15, 1976: The Parti Québécois is elected, causing markets to “make a major reassessment of the Canadian dollar’s prospects.” At the same time, commodity prices start to soften, inflation picks up. By 1979, the currency slides to 84 cents (U.S.). August, 1981: The Bank of Canada’s key rate hits 21.2 per cent. By 1982, the dollar traded below 77 cents (U.S.). Feb. 4, 1986: The Canadian dollar hits a record low of 69.13 cents (U.S.) as falling commodity prices hurt the economy. 1988-1989: The currency rebounds somewhat to close the decade at 86 cents (U.S.). 1990s: The currency weakens again, closing the decade at 69.29 cents (U.S.). Inflation and interest rates fall and commodity prices soften. 1998: The international crisis in emerging markets such as Russia and Latin America causes the dollar to slide as low as 63.11 cents (U.S.). 2002: The currency hits a record low of 61.98 cents (U.S.) on Jan. 18, 2002. 2006: The loonie tops 90 cents (U.S.), prompting calls for parity. It then weakens for much of the balance of the year. 2007: The loonie takes flight again. On May 31, it topped 94 cents (U.S.) – the highest level in 30 years. Later that year it hit parity in September. That fall the loonie hit its modern-day intra-day high of $1.10 (U.S.), and hit its highest closing price of $1.08 (U.S.) on Nov. 6, 2007. 2008: The loonie continued to trade near parity until it dipped below that level on July 21, 2008. 2009: The Canadian dollar closed at a recent low of 76 cents U.S. on March 9, 2009, before restarting a rapid ascent higher against a basket of international currencies. 2010: The loonie touches parity for the first time in 20 months on April 6, 2010.